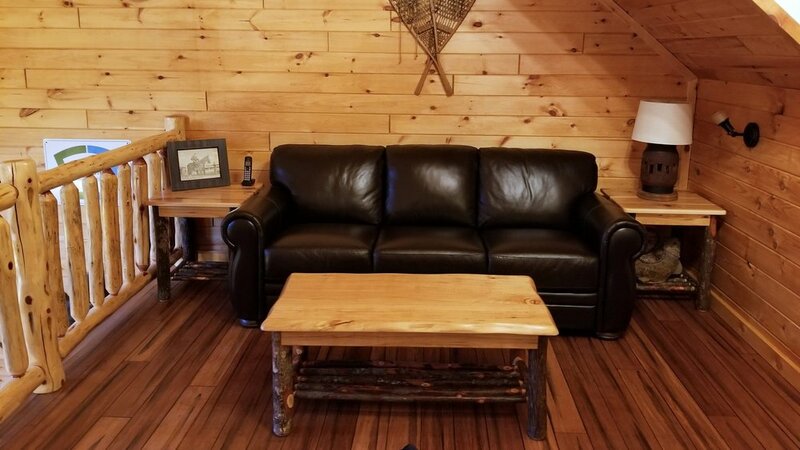 Since 1977, EZ Mountain Rustic Furniture has served the Poconos. Beginning as a traditional furniture store and slowly evolving into a rustic log furniture store. We sell only the highest quality, USA made products. Ranging from bedroom sets, to bars, to bathroom vanities. We do it all. We Specialize In Custom Furniture. You Design It, We Deliver It. and is constructed with precision. No cutting corners, no wood veneers. Special thanks to Big Pocono Lodge @ Camelback for choosing EZ Mountain to furnish their 7200 sq/ft rental house!